Professional manner. We are very pleased with the quality and the workmanship of our recently completed conservatory. The whole operation was carried out in a professional manner with good quality work from all concerned. All of the workers took pride in their work and wanted to finish the job to a high standard that would be viewed as a specimen. We were pleased that there was no high-pressure sales, just explanations of the technical details etc. We would recommend Dukesbury Garden Rooms to anyone who requires a good quality conservatory or orangery. An excellent job! I would not hesitate to recommend Trevor Digan (Dukesbury Garden Rooms). He did an excellent job and his advice and knowledge on replacement solar glass for our conservatory windows and roof suited our needs. His implementation of the works was carried out to a very high standard. He and his team were extremely professional, polite and left the site very neat and tidy at all times. Completely changed the way we use our home... Well done Trevor, you’ve turned our house into a palace. The workmanship is impeccable, everything is very high spec and better than we had ever imagined. The advice and design you came up with has worked perfectly for us - it has completely changed the way we use our home. We are certain that Dukesbury Garden Rooms will go far. Thank you. Wow factor! We are so pleased with the finished article from Trevor. It adds a real wow factor to our home! Reliability and work ethic is hard to find. Just a line to let you know we have had a nice surprise. We have decided to put the house on the market and the value has more than doubled the price we paid for the conservatory. 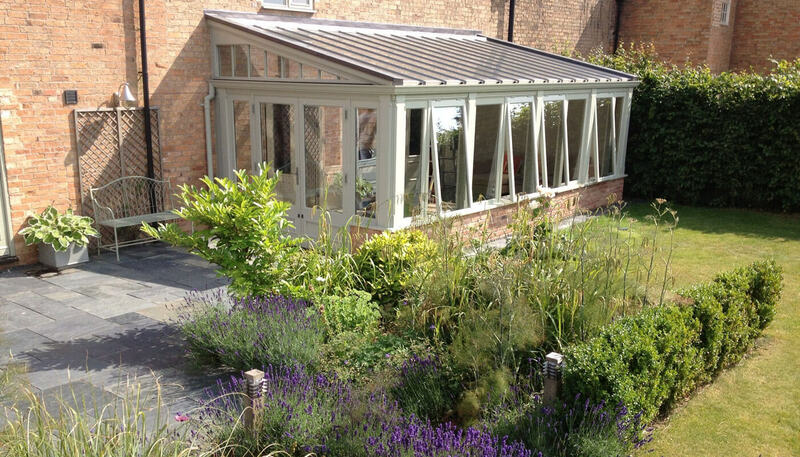 When we do relocate it will be to North Yorkshire and the house we will be looking for must be suitable to accommodate another conservatory of yours. Your reliability and work ethic is very hard to find today. We look forward to contacting you, hopefully in the not too distant future. Reliable service, and value for money! Dukesbury Garden Rooms recently replaced all our box sash windows and a Victorian glazed roof lantern. We would recommend them to anyone who is looking for traditional craftsmanship, care and attention to detail, reliable service and value for money. We are saving up for an orangery next! A pleasure to deal with. We are so thrilled to be the first home in Ireland with a Dukesbury Garden Room roof lantern. The craftsmanship and quality of Trevor's work is simply impeccable. He is a pleasure to deal with, so obliging and his attention to detail is second to none. Please don't look any further than Dukesbury! We really couldn't be happier! Workmanship is far and away superior to anything else we looked at! My wife and I wanted to create a spacious light and airy addition to a planned kitchen extension that had a period feel. Trevor consulted with us and his suggested plan was exactly what we were looking for. The resulting orangery made in hardwood is such a pleasant space to be that it has quickly become the heart of our home – even our pets agree! The quality of workmanship – in materials, finish and detail – is far and away superior to anything else we looked at. We are confident that our orangery will continue to look great for many years to come. Trevor’s pride in his skill and product is obvious and is possibly Dukesbury Garden Rooms’ greatest asset. Exceeded our expectations! The orangery added on to our kitchen, has exceeded our expectations. We are thrilled with the quality of the workmanship, the way it has transformed the kitchen, and working with a firm who deliver when they say, and to the quality that has been promised. Attention to detail is astonishing. Just been for a sneaky peak on our orangery being hand crafted. The attention to detail is astonishing. I wasn't excited until this point now I can't wait. Awesome! Nothing is too much trouble! Thanks to Trevor I am now the proud owner of a wonderful conservatory. The finished room is exactly as planned and I am now able to enjoy my cottage garden from the comfort of a beautiful room. I would certainly recommend Dukesbury Garden Rooms for its professionalism, punctuality, (on any day of the week) and quality of work. Nothing is too much trouble. Thank you.